Zurück — News — Totally DIY-able Outdoor Flip-Down Sideboard. Totally DIY-able Outdoor Flip-Down Sideboard. 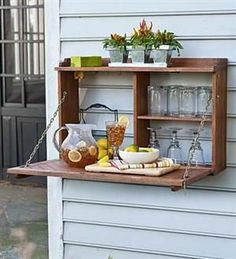 Totally DIY-able Outdoor Flip-Down Sideboard. Perfect for small space entertaining indoors or out!